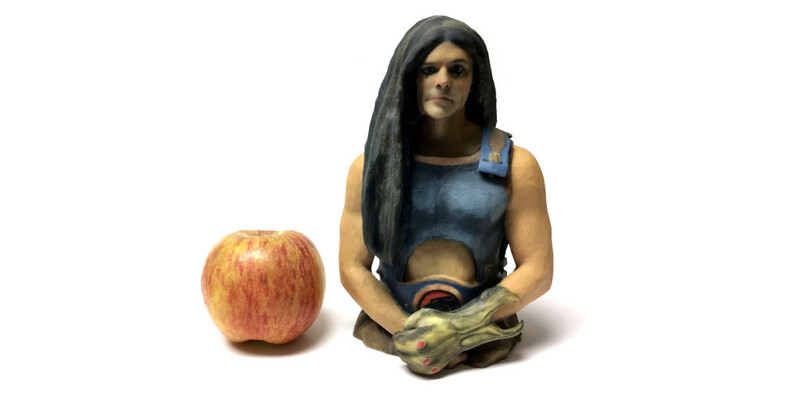 Full figures consist of a full 360° statue and are available in several lengths and scales. These are printed in Full Color Stone; a protective gloss coating can be added for an additional fee. Full length models print you from head to toe! A small platform is typically added to enhance stability. 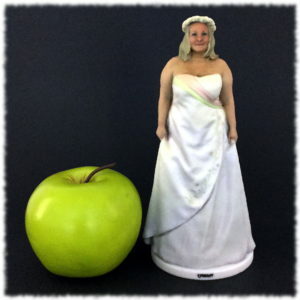 Models with long dresses that reach the ground are hollowed; free standing models are printed solid. 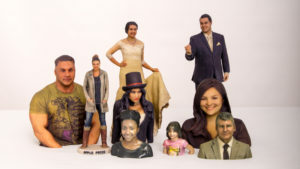 Bust and half figures are shorter versions of the full length model. This allows them to be printed larger, and also to be hollowed, which reduces their cost considerably. Half length figures are cover approximately from the waist up, and busts cover approximately 15″ down from the top of your head. Multiple busts can be combined together into a larger sculpture; e.g. 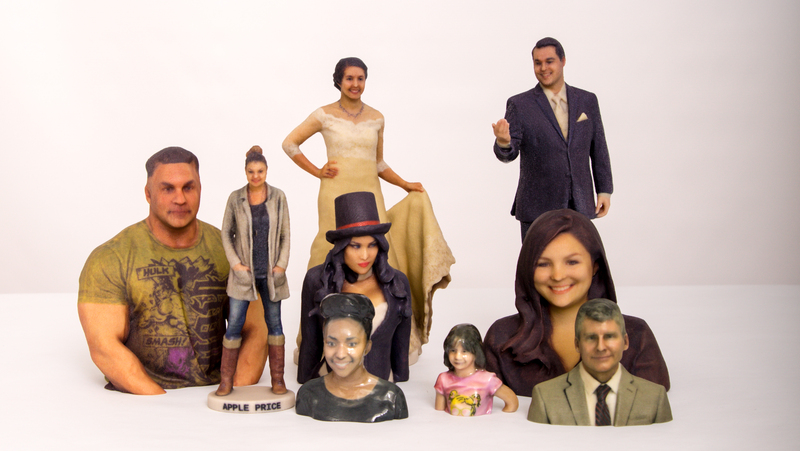 for a family portrait or a cake topper. Also available as a magnet/hangable.